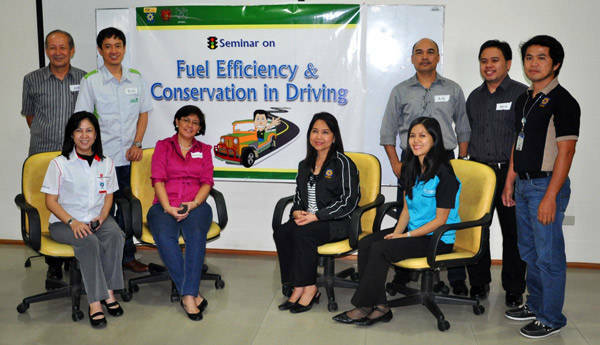 Honda Cars Philippines' corporate social responsibility initiative, the 1'M Blue Eco-Safe Driving Campaign, has partnered with the Department of Energy and the University of the Philippines National Engineering Center to conduct seminars on fuel efficiency in 10 cities around the country during the first five months of the year. The seminar covers the government's energy efficiency program; rationale of eco-safe driving; practical driving tips that save fuel; and proper vehicle maintenance. The 1'M Blue Eco-Safe Driving Campaign aims to influence driver and fleet consciousness and behavior toward fuel efficiency and safety; generate individual and collective support for eco-safe driving; provide practical learning tools that will help create and sustain a positive behavioral change; and reduce vehicle-derived air pollutants, fuel consumption, and carbon-dioxide emissions. For inquiries on the exact schedules and locations of the seminars, you may call HCPI at (02) 857-7200 to 19.